"It sounds like it's about a little girl and I'm 70 years old"
The Monkees are marking their 50th anniversary as a band by releasing an album containing material written by songwriters new and old. One such collaborator is Weezer frontman Rivers Cuomo, and the initial draft of his song left much to be desired, as The Monkees’ Micky Dolenz explained to Rolling Stone. The album, entitled Good Times!, also promises songs written by Noel Gallagher, Death Cab For Cutie’s Ben Gibbard, Neil Diamond, and Carol King, with production by Fountains of Wayne bassist Adam Schlesinger. 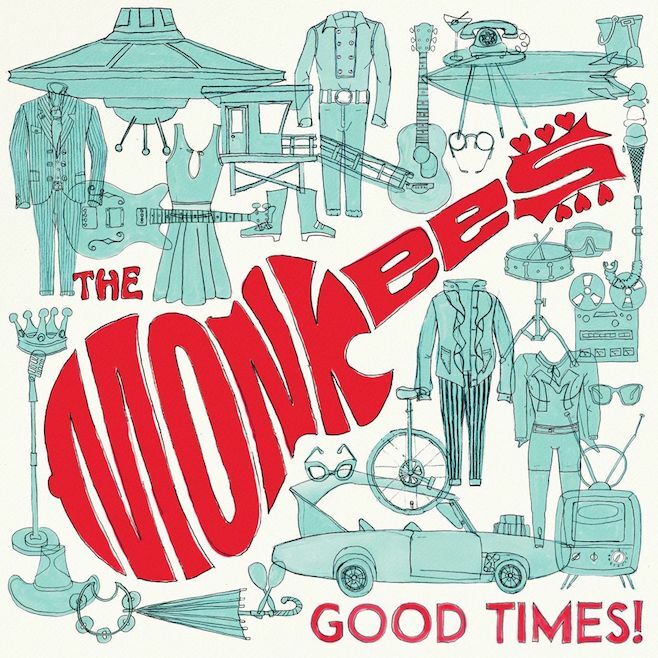 Good Times!, out June 10th, marks The Monkees’ first release following the passing of singer Davy Jones in 2012. According to Rolling Stone, Michael Nesmith is not expected to participate in the album, leaving Dolenz and Peter Tork to record as a pair. In support, Dolenz and Tork will embark on a US Tour beginning in May. Find those dates below.